Manchester, situated on the River Raisin, was founded in 1833 and named after Manchester, England. The founders used the river’s water power to establish a thriving community, and the village expanded with a strong German heritage. We pride ourselves on retaining our small-town charm while providing a great variety of activities for the whole family. 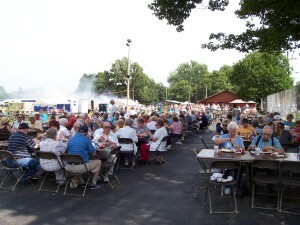 Yearly events include the famous Chicken Broil, River Raisin Canoe Races and the Riverfolk Festival. Follow this link for a complete list of major annual events and community activities in Manchester. While you’re here check out a few area attractions including the Manchester Blacksmith Shop, the Sharon Mills complex, and Alber Orchard and Cider Mill. Follow this link for additional information and a complete list of area attractions. Stumble into the Village of Manchester and you’ll be pleasantly surprised with what you find. Breakfast, brunch, and dinner options served with a smile within the small-town charm that is Manchester. Walk into friendly pubs like The Village Tap and inviting diners like the Coffee Mill Cafe/Black Sheep Tavern and feel at home every day of the week. Follow this link to check out all of the dining in Manchester. 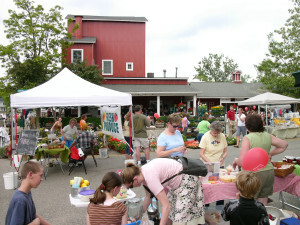 In addition to several fine family restaurants, the Village of Manchester is home to gift stores, antiques, and artist studios. Whether you’re in town to explore the nearby River Raisin Recreation Area or you’re indulging in the annual chicken broil you should definitely investigate the shopping opportunities this lovely village. Follow this link for a full list of shopping in Manchester. The State of Michigan Department of Natural Resources and Washtenaw County Parks and Recreation are currently negotiating the purchase a large parcel of land in Washtenaw and Jackson Counties, including substantial acreage around the headwaters of the River Raisin. This future park will provide a variety of uses and attractions west of Manchester, including: camping, hiking, fishing, hunting, swimming, equestrian usage, and historical significance. Manchester will serve as the “gateway community” to this proposed park. Follow along on the Big 400 site as we partner with the State and County on this park development. 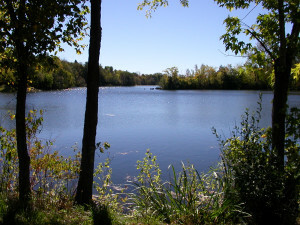 Follow this link for a recent article on the River Raisin Recreation Area. Prepare for a weekend you won’t forget, full of pampering, refreshment for your mind and soul, renewing friendships, and true hospitality. Preserve your family’s cherished memories at Gotta Scrap Inn while being pampered by our highly trained staff. Rooms are individually and tastefully decorated with lavish textures, exuberant colors, and plenty of room to inspire you. So don’t delay book your room today. Find more options for your overnight stay in nearby Chelsea, Saline or Ann Arbor. Manchester Tour de Barn Quilts – This self-guided bike tour is on rural roads beginning and ending in the parking lot at Manchester High School. The tour travels bucolic byways to look at barn quilts, which are large, colorful quilt blocks on the sides of barns, as well as other historic barns and churches, a farm stand, a Ford mill, and the charming Village of Manchester. The route is 14 to 26 miles long. Included too is an optional 6 mile loop.